Our readers nominated their favorite subscription boxes, then voted on which of those boxes they loved most. 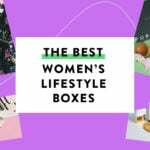 Here’s what they chose as the Best Art & Craft Subscription Boxes! We love a little creative inspiration each month, and these 20 subscription boxes deliver! Whether you’re a kid or a grown up, into drawing, paper crafts, knitting, or quilting– our readers have recommended their favorite creative subscription boxes to get you feeling inspired and ready to create. Prices on this list range from $9.95 to $65 per month, too, so there’s something for every budget. The Cost: $19.99 per month. COUPON: Get 40% off your first box when you sign up here! What you’ll get: This box received the most votes in the Arts & Crafts category this year! Geared toward ages 9-16, Doodle Crate is a subscription box from KiwiCo that will ship you a fun new art project each month. Recent kits have included candle making, papermaking & bookbinding, embroidered zipper pulls, and more! Check out all of our Doodle Crate reviews to learn more. COUPON: Use code CRAFTADDICTION to get free shipping on your first box; sign up here! What you’ll get: Adults and Crafts is a monthly DIY subscription that helps subscribers “learn new crafting techniques to help you create useful, beautiful products you will be proud to have made.” Past projects have included a wine and cheese chalkboard tray, clockmaking, cement candleholders, holiday cards, and more. Check out all of our Adults & Crafts Reviews to learn more. The Cost: $19.95 to $24.95 a month. Sign up here! What you’ll get: KnitCrate offers several different yarn + pattern subscriptions to meet your needs! Each plan comes with a different type of yarn plus patterns, so you can complete an entire project each month. They also feature a “pop up shop” each month where members can shop artisanal yarns with a member discount! Sock Crate, $19.95 a month: Includes at least one skein of in-house premium sock yarn in an exclusive colorway, plus a pattern. Knit Crate, $24.99 a month: Includes at least two skeins of their in-house premium yarn brands, 1 knitting pattern, and 1 crochet pattern. What you’ll get: Pop Shop America’s Craft in Style Box which offers the materials you need to make a series of projects! Their April 2019 box featured a whole DIY garden collection, where subscribers can DIY a wood planter box, clay garden markers, and seed bombs, plus bonus coloring pages. The Cost: $24 a month. Sign up here! What you’ll get: ArtSnacks sends out a package of 4-5 premium art supplies each month, including some practice ideas and techniques to try– and a small edible treat. They curate each box so that all of the supplies you receive each month work well together for new projects. They also offer a Quarterly LetteringSnacks box for those who love modern calligraphy and lettering ($89 per quarter) and a Quarterly WatercolorSnacks box for those who want to improve their watercolor skills ($89 per quarter). Check out all of our Art Snacks Reviews here! The Cost: $35 a month. Sign up here! What you’ll get: SketchBox will send you 4-6 premium art supplies each month, plus a featured artwork to help inspire you. This box focuses on 2D media for drawing, painting, and illustration. They also donate art supplies to schools in need, and have a contest every month to feature subscriber artwork on the box! Check out all of our SketchBox Reviews to learn more. The Cost: $23.95, every other month. Sign up here! What you’ll get: The Hippie Hobby sends you one DIY craft kit every other month. Past projects have included string art, candle making, lip balm, and more. Check out our Hippie Hobby Reviews to learn more! The Cost: $65 per month. Sign up here! What you’ll get: The Crafter’s Box is a box for people who love to make. Each month, you’ll get unique crafting supplies and tools along to make an artist-designed craft for your home. In addition to the physical items in the box, membership includes access to an online community and an online workshop taught by an experienced maker. Check out all of our Crafter’s Box Reviews to learn more. Ships to: US (for free), $10 to Canada and $20 everywhere else. The Cost: $19.99 per month plus $5.95 shipping and processing. COUPON: Get your first month for $9.99 plus shipping, just sign up here! What you’ll get: Annie’s Creative Woman Kit of the Month Club features a new craft kit each month, with a focus on more traditional crafts and styles. Past projects include embroidered linens, caged bird Christmas tree ornaments, ribbon embroidery, beaded coasters, and more. The Cost: $29.50 per month. Sign up here! What you’ll get: ZenPop Japanese Stationery Pack is a subscription box brought to you by ZenMarket filled with unique Japanese stationery and studying goods handpicked by their staff in Japan. While this might be stretching the definition of “crafts”, we like this one if you’re into scrapbooking and writing letters, but want to pick up some unique supplies you can’t find easily in the US. Check out our ZenPop Japanese Stationery Pack Reviews to learn more! The Cost: $29.99 per month. What you’ll get: Home Made Luxe is a DIY Home Decor subscription box! Every month you will receive all the materials you need to create a gorgeous home decor project. Recent projects include gemstone soap, string art, framed word art, and personalized cutting boards. Check out our Home Made Luxe Box Reviews to learn more! The Cost: $19.95 per month. Sign up here! What you’ll get: Paper Pumpkin is a monthly paper crafting subscription box from Stampin’ Up! They send everything you need for a creative paper project right to your door– including new stamps and a mini-stamp pad in a new color every month, so you can build up your collection for other projects. The monthly projects are typically greeting card sets, but the components could also be used for scrapbooking, if you prefer. Check out all of our Paper Pumpkin Reviews to learn more. The Cost: $17.95 to $26.95 per month (depending on bead type selected). Sign up here! What you’ll get: Adornable Elements offers monthly subscriptions for everything beading, from seed beads to two-hole beads to Swarovski crystals! Can’t choose or want more variety? They also offer a rotating club for $22.95 a month, which features different bead types each month (featured from their other subscriptions). Check out our Adornable Elements Reviews to learn more and see what we’ve made. COUPON: Get your first box for $9.99 + $5.95 shipping!, no coupon required, just sign up here! What you’ll get: “A new surprise project from our designing pros delivered each month! Every project is carefully assembled into a ready-to-go kit, including two sets of easy-to-read step-by-step instructions, and the yarn needed to complete the kit.” Annie’s has a great return policy, so you can easily return any project that you don’t like. Read our review to learn more. The Cost: $9.95 to $14.95 per month. Sign up here! What you’ll get: Stickers! 🙂 Pipsticks has several plan sizes; Petite Plans are $9.95 a month and include 7+ sheets, while Classic plans include 15+ sheets. Both plans also include a postcard as well as some other fun add-ins, like a ticket for their VIP raffle each month! Check out our Pipsticks Reviews to learn more. The Cost: $15.95 per month. Sign up here! What you’ll get: Bargain Bead Box is an affordable subscription that sends a collection of beads curated along a theme each month. Notably, they also include findings such as clasps, lengths of chain, and other baubles that other beading subscriptions don’t send. Check out Ragan’s Bargain Bead Box reviews to learn more and see what she’s made with this box. COUPON: Get your first month for $9.99, no coupon needed, just sign up here! What you’ll get: Annie’s Creative Quilters Fabric Club sends you a new set of six coordinating fat quarters every month, so you can quickly and easily build up your fabric stash for quilting projects. Fat Quarters are 18 x 22 inches, and are a popular size to start with for many quilt designs. Plus, each shipment includes a bonus pattern for items like table runners, casserole carriers, baby items, and more– so you’ll have lots of new inspiration along the way. Annie’s is known with our readers for having a great return policy, too, so unlike many subscriptions, you can return any delivery within 21 days and will not be billed. The Cost: $49.95 per month. COUPON: Use code MSA20 to save 20% off your first box– sign up here! What you’ll get: Smart Art reminds us of all the things we loved about taking art classes in school. Each month, you’ll receive a new project with 6+ full sized supplies and step-by-step instructions to complete a new project. Past projects have included hand lettering, gelatin printing, abstract painting, paper marbling, and portrait drawing. Check out all of our Smart Art Reviews to learn more! Ships to: US only, free shipping. The Cost: $19.99 per month. Sign up here! What you’ll get: Indigo Artbox combines new art supplies and project ideas with art history! Each month, you’ll get everything you need for a new project inspired by an important or historical artist, plus access to 2 online videos to help guide you through it. Boxes contain enough supplies for 2-3 finished pieces, so this is great to share with a spouse, friend, or kid, too! The Cost: $0.99 to join, and the box is $24.95 plus $4.95. Sign up here! What you’ll get: Sew Sampler is a subscription box from the Fat Quarter Shop that includes sewing notions, fabrics, and patterns for quilters! Each month, in addition to your fabric and goodies, you’ll receive a “recipe card” for a new quilt block– which can be assembled into your very own barn block quilt. Check out our Sew Sampler Reviews for more info. Ships to: $4.95 for shipping for US customers, $12.00 for shipping for Canadian customers, and $16.00 shipping for International customers. That wraps up our list of the best arts & crafts subscription boxes! Did your favorites make the list? "Wow lucky! Hopefully I get mine soon too! :)"
"Ok thanks! I’ll wait then and see if they offer it :)"
"My kids love highlighter, I see the all that shine and think oily skin LOL :) Definitely a "to each their own..."